Clinical and forensic neuropsychological examinations are the procedures of choice for objective measurement of brain injury. Neuropsychological examinations include records review; interviews; and administration of standardized tests. Referrals originate from a wide variety of clinical, administrative and legal sources. Medicolegal venues include Worker’s Compensation, personal injury, medical malpractice, fitness for duty, disability, criminal, probate, and others. Referral questions include differential diagnosis, causation, prognosis, treatment recommendations, maximum improvement, impairment, reasonableness/necessity of treatment, restrictions/limitations, and peer review. 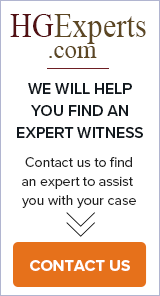 Neuropsychologists serve as expert witnesses qualified in most courts and jurisdictions to inform decision makers on complex and important questions. Rex E. Jung, PhD, is a Neuroscientist and Neuropsychologist in the Department of Neurosurgery at a major University. He completed an internship at Baylor College of Medicine, in Neurosurgery and Behavioral Health in 2000, and completed a post-doctoral fellowship in Psychiatry Research. Joseph J. Sesta, Ph.D., M.P. Private practice specializing in forensic neuropsychology and psychopharmacology.